OK, mini pastries are awesome, right? They are rarely something you would have for dessert after a normal meal at home. It’s not like you just keep mini pastries around the house. They are a special occasion dessert. They are the dessert you get at a fancy dinner or at a conference, like in my situation today. I’m currently at a conference and they had an offering of 5 mini pastries. I felt I was being responsible by only having 3 of the 5. I know, you are all proud of my for showing such restraint. I treated myself to a mini key lime pie, a mini cheesecake and a mini pecan pie. They were delicious, which I completely expected. The mini key lime was just enough tart and sweet to satisfy without going overboard. The cheesecake was just enough of a creamy dessert. The pecan pie was enough savory dessert, and topped with an awesome mocha topping. 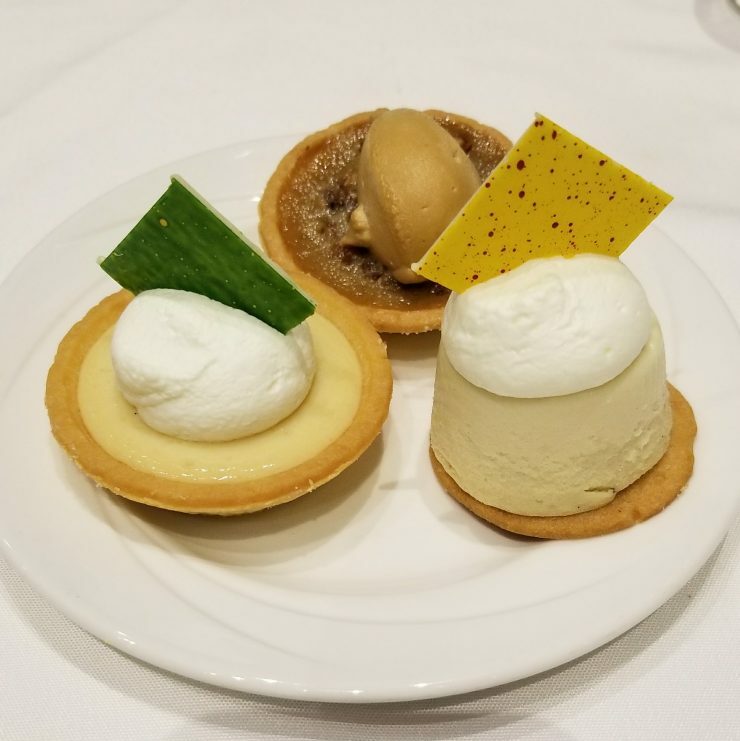 My favorite part of my mini pastry dessert is exactly that I got to experience all three of these flavors at about the same size as if I had one regular sized dessert while also getting that satisfaction of saying you had 3 desserts after your meal. You know what’s the best part about a blog post about mini pastries? The thought that is going through all your minds right now if you’ve read to this point, did I seriously just read two paragraphs about mini pastries? Yes, yes you did.